At the end of a year, many of us enter a period of intense introspection. Your friends behind the Field Agent Blog, Endcaps & Insights, approach the year’s end much the same way: We evaluate our content from the past 12 months, identify our favorite and most successful blog posts, and feel sincerely grateful for you—our dear reader. So even as our anticipation builds for 2018, below we offer a quick look back at our “greatest hits” from 2017. 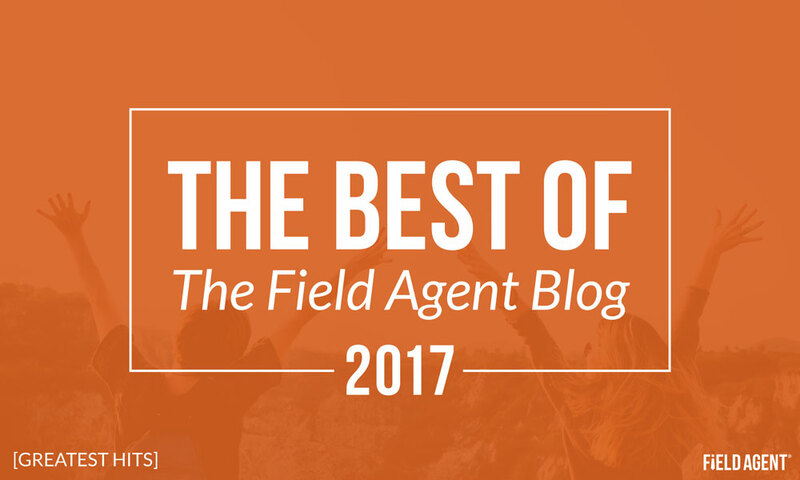 Thanks to you, 2017 was the best year yet for Field Agent’s blog. On June 15, 2017, German discounter Lidl opened its first 10 stores in the United States, introducing an aggressive, new player to an already cutthroat retail industry. 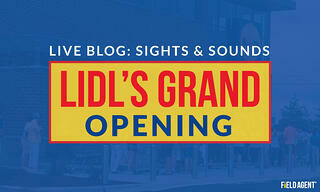 Field Agent was there from the second the doors opened, documenting Lidl’s grand opening in photo, video, and customer comments. Thousands of retail professionals tuned in for this all-day, real-time blog. We named our Lidl live blog 2017’s greatest single blog post because, in addition to its enormous popularity among our readers, the post uniquely and effectively showcases Field Agent’s ability to capture in-store images and insights. Few topics have captured the attention of retail professionals like the rapid digitization of grocery shopping. Increasingly, shoppers can purchase groceries—even fresh, perishable groceries—online for in-store pickup, curbside pickup, or home delivery. 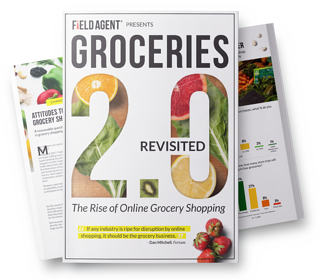 In August we updated and expanded our original Groceries 2.0 report, first published in 2015, for re-release on the blog. 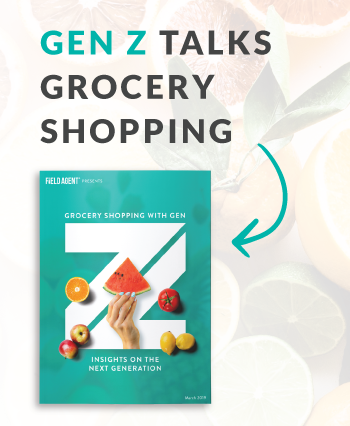 Encompassing 11 mobile studies and almost 6,000 survey responses, Groceries 2.0 Revisited was even more popular than our original report, and marked another high point for our blog in 2017. "Though there is significant interest in online shopping, the [Groceries 2.0] study found concerns remain among consumers," reported Supermarket News. Where were you when Amazon purchased Whole Foods? It was, after all, a huge deal. Showcasing Field Agent’s “rapid response” capabilities, we learned about the acquisition the morning of June 17 and, by that afternoon, had already completed a survey of 300 Whole Foods shoppers and published the results on our blog. 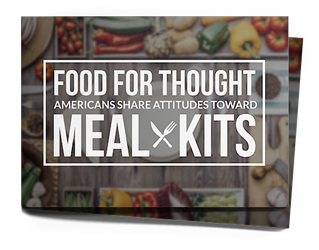 Our data-driven report on meal kits was exceptionally well-received, not just with subscribers but with the business media as well. Progressive Grocer and Food Dive were among the outlets to run stories based on the report. Between the Whole Foods purchase and opening its first grocery pickup services, 2017 was the year Amazon got serious about brick-and-mortar. Within hours of Amazon opening its grocery pickup stations in Seattle, Field Agent was already collecting photos, video, and feedback from 20 users of the new Prime service. 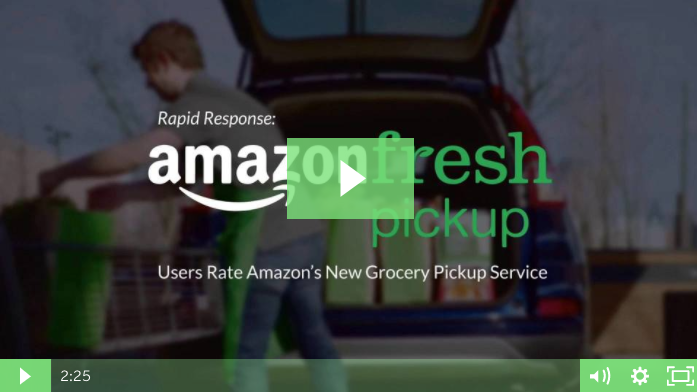 As reported by The Packer, "Amazon Fresh received strong marks from consumers who recently tested the delivery service." Field Agent’s report, “Shopping on the Cutting-Edge,” shared shoppers’ attitudes toward three innovative retail technologies: drone delivery, voice-activated shopping, and checkout-less stores. It was a hit with readers. TWICE and Talk Business & Politics were among the media outlets to base stories on the report. From a survey of Amazon, Walmart.com, Target.com, and Jet customers, our special report, “.Comparison: Digital shoppers rate four leading online retailers,” considered the relative strengths and weaknesses of today’s most powerful digital retailers. Among the media outlets reporting on the study were 24/7 Wall St., Retail Customer Experience, The Food Institute, and Specialty Food Association. Retail education is another priority of the Endcaps & Insights blog. In 2017, one of our favorite “evergreen” pieces described seven questions all CPG companies have but, frankly, are sometimes too afraid to ask. 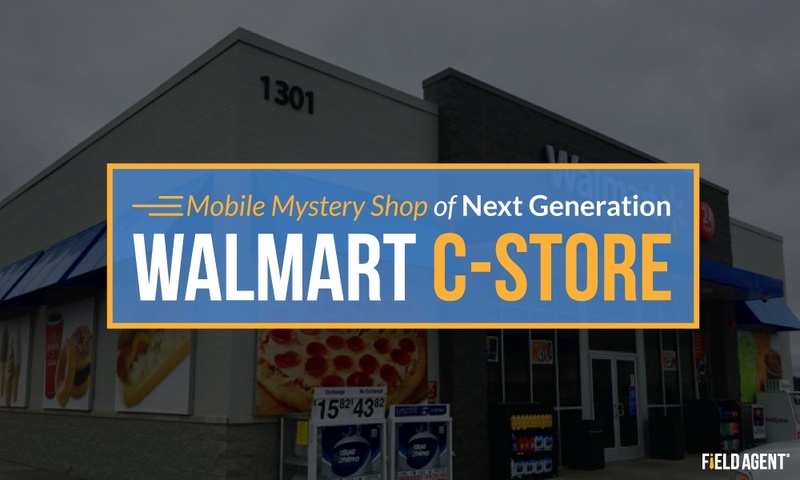 9.What Do Customers Think about Walmart’s New C-Store? The mobile mystery shop, a scaled-down version of the traditional MS, is a bread-and-butter service here at Field Agent. And we really enjoy featuring mobile mystery shops on our blog. One of our mystery shop posts this year examined customers’ attitudes toward and experiences with Walmart’s new convenience store format. 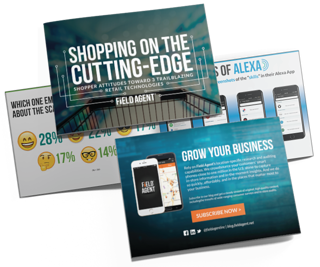 At Field Agent, we love shopper marketing: displays, signage, and the like. It’s always a pleasure to showcase creative, attention-grabbing, eye-popping product displays on our blog. 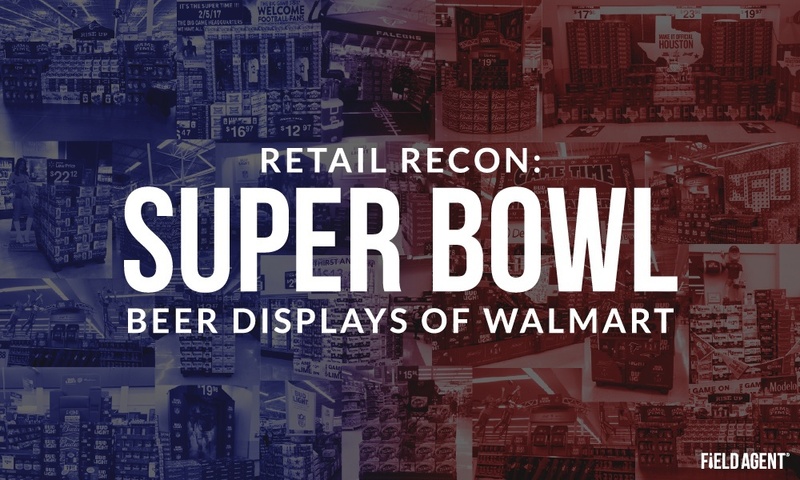 Case-in-point: Our post from the past year featuring some of Walmart’s best Super Bowl displays. Don’t miss out in 2018. Subscribe to the Field Agent Blog, and stay up-to-date with the latest happenings in retail and beyond.